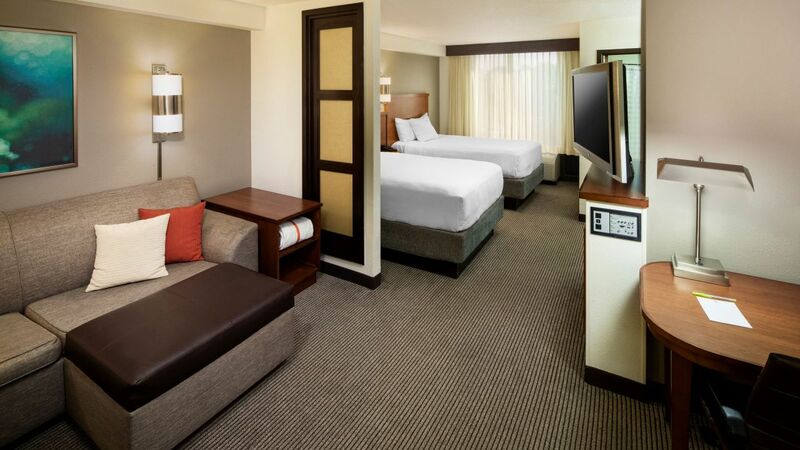 Experience a high standard of comfort in one of the Hyatt Roanoke’s 126 rooms. 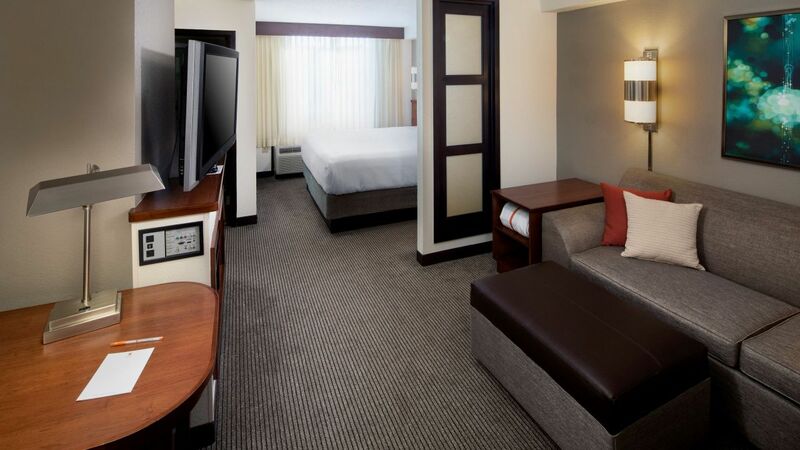 Each room features a Hyatt Grand Bed™, 42” TV and Cozy Corner with sofa or sofa-sleeper. A separate workspace is available to catch up on emails and get things done conveniently in your room. And, a Hyatt Plug Panel™ media center allows you to connect your laptop or media device to the TV. All our rooms are spacious, but we also offer rooms with accessible beds for our special needs guests. A roll-in show adds to the convenience of these suites. For the ultimate in comfort and convenience, consider a room with an accessible Hyatt Grand Bed™. Our special needs guests rely on these rooms that include an accessible tub and sofa bed. 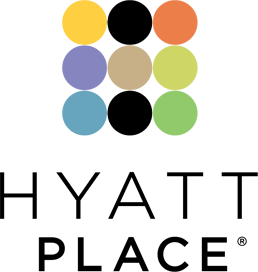 Every room is finished to a high standard and offers the same facilities for your comfort. The contemporary bathrooms add to the sense of style and space. High floor spacious guestrooms designed for maximum comfort. The Cozy Corner with sofa sleeper give these rooms a real home from home feeling. The most beds with the most square feet, this High Floor room offers two double beds, additional sleeping options with a sofa-sleeper, stylish seating areas, and spacious ceilings. 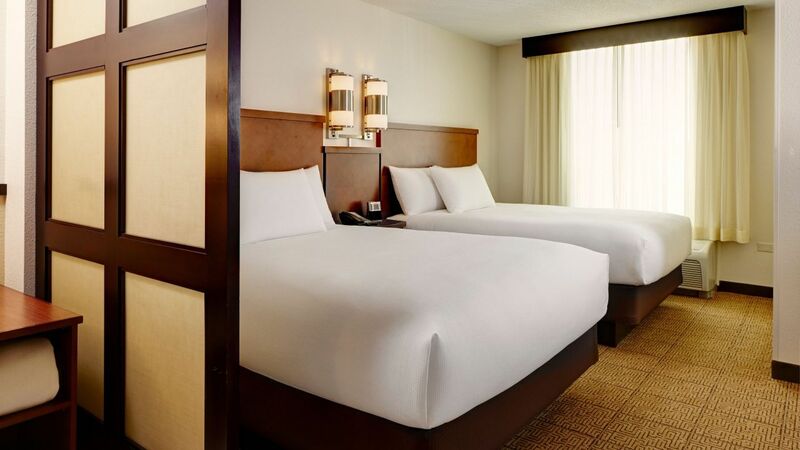 What’s better than a Hyatt Grand Bed™ in your room? Two! These spacious suite style rooms are ideal for groups, and come with large seating area, soft sofa-sleeper, and oversized flat screen TV. Get a good night’s sleep in your plush Hyatt Grand Bed™ and enjoy a fresh-brewed coffee from your in-room single-serve coffeemaker. Now you’re ready for the day.